SunTrust Banks has combined management of its high net worth brokerage unit with its broader brokerage business in an apparent effort to clarify the mandates of its multiple wealth units, shaking up several management positions in the wake of the reorganization. The Atlanta-based bank has restructured its SunTrust Investment Services retail broker-dealer businesses into seven divisions, each with a single director, according to a memo sent in late August and reviewed in part by AdvisorHub. The divisions were previously structured to be managed by a high net worth director and a second who oversaw brokers servicing the bank’s “mass affluent” customers. Under the new alignment, brokers throughout wealth management—including those in the lower-wealth tier Client Advisory Center—were branded as of August 16 with the title Private Financial Advisor, according to the memo. SunTrust, a southeastern U.S. commercial banking powerhouse, also services the wealthy through its traditional private banking unit, with its heavy emphasis on trust and estate planning, as well as through its GenSpring family office unit. The restructuring has had immediate repercussions. The broker-dealer’s south Florida division is now run solely by Jim Kenerson, who had formerly been in charge of mass-affluent brokers, while his cohort John Nicholson who dealt with high-net-worth business left in mid-August, the SunTrust spokesman said. Patrick O’Donovan, who joined SunTrust Investment Services in August 2016 to run strategy from Atlanta for its “Premier Banking and Investment Group” and was appointed Tennessee division director a few weeks ago, jumped to Raymond James & Associates on August 30 to head its southern Indiana employee-run branches. Raymond James announced Monday that he is slated to become manager of all its employee-run branches in Indiana (as opposed to those in its independent channel) after Indy North Complex Manager Joe Touchton retires at the end of 2018. O’Donovan had spent 30 of his 32 years in the brokerage industry as a manager at Smith Barney and Morgan Stanley before his move last year to SunTrust. Nicholson, for his part, worked for his first 21 years as a registered rep at Merrill Lynch, primarily in Ohio and Wisconsin, before joining SunTrust in January 2017 to run its south Florida high-net-worth business from Fort Lauderdale. He had voluntarily resigned from Merrill in November 2016 amid allegations of conduct violations, “including improper submission of personal expenses for reimbursement,” according to his BrokerCheck record. The alleged violations did not involve the purchase or sale of securities, or affect Merrill customers or customer accounts, according to a summary of Merrill’s U5 separation notice in the Finra database. Nicholson, who is not currently registered with a broker-dealer, could not be reached for comment. Dwight Mathis, another veteran Merrill Lynch manager, joined SunTrust a year ago to run the investment and premier banking group of about 400 advisors where O’Donovan was working, but returned to Merrill in July to manage its eastern Long Island complex of six offices in New York. 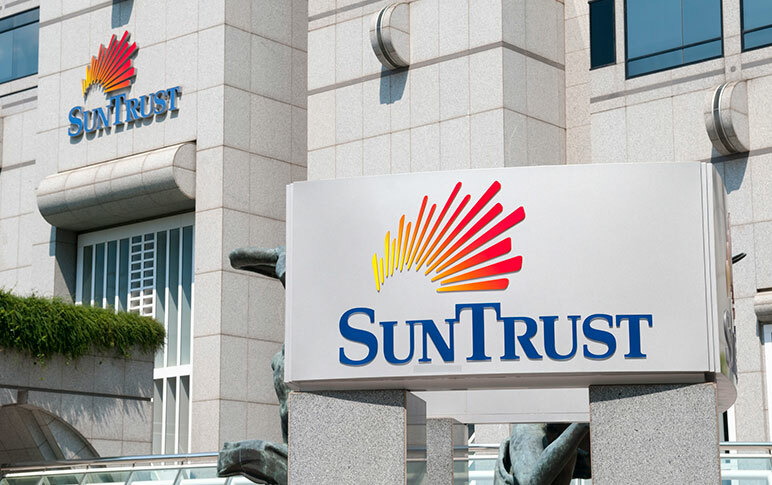 The SunTrust spokesman declined to comment on the personnel moves. Randy Carbone, greater Washington DC/Maryland region, with manager Desi Wyatt. Cam Gilbert, regional manager in south Florida, assisting division head Kenerson. The memo did not name a regional manager for Tennessee. Stephen Reed, a 15-year veteran of SunTrust Investment Services who had been running its middle and western Tennessee region, left earlier this month to join Pinnacle Financial, a hybrid RIA in Nashville that does brokerage through Raymond James Financial Services. He accepted a newly created role running Pinnacle’s Tennessee, Carolinas and Virginia regions, according to a news release. It is a sh.. show over there.